HY-3010 Automatic label cutter(cold, hot) is widely used for label cutting. Cold cutter is suitable for nylon taffeta labels. 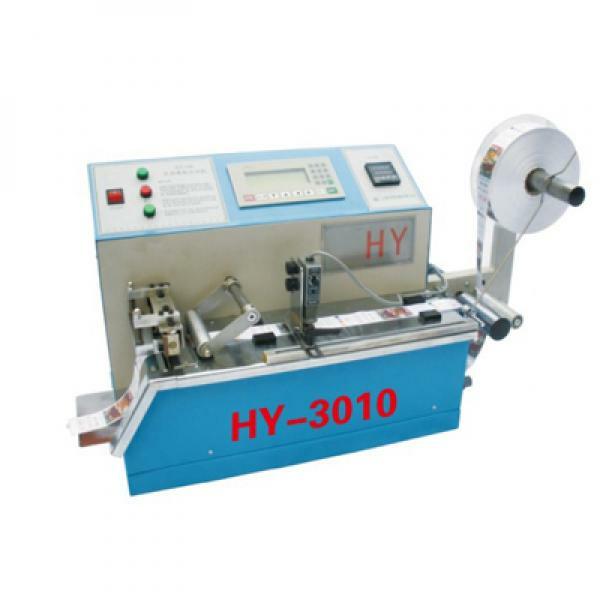 Hot cutter is for polyester satin labels and woven labels etc. The length set from 10 to 1000mm, the discharge function make cutting easy for waste label on every cycle printed by Rotary Machine.